The United States exports more weapons than any other country. WASHINGTON — President Trump greenlighted the sale of 1,600 semiautomatic Sig Sauer pistols to Turkish President Recep Tayyip Erdogan’s security detail in May of last year, giving the thuggish dictator access to some of the best guns money can buy. The very next day, some of the bodyguards helped beat up several American citizens peacefully protesting outside the Turkish ambassador’s residence in Northwest Washington. Nobody was arrested, but there was a meaningful consequence: Congress halted the arms deal. Congress can be a wet blanket when it comes to overseas arms sales, asking pesky questions and putting up roadblocks. 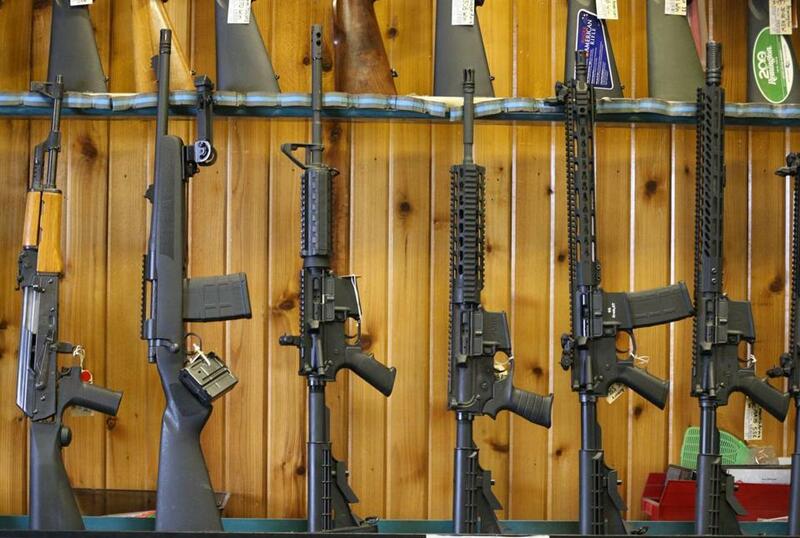 Lawmakers are required to be consulted before exporting large shipments of US-made assault weapons like the AR-15 and other semiautomatic rifles that are frequently used in mass shootings here. But now Trump wants to take Congress out of the equation. As part of the president’s much-touted push to roll back regulations deemed burdensome by industry, Trump has proposed changing the federal rules and allowing US manufacturers to sell large batches of firearms to foreign countries without consulting the legislative branch. The plan would also diminish the role of the Department of State, despite its expertise in diplomacy and human rights, and would put approvals in the hands of the Department of Commerce, an agency focused on promoting American business. The moves, which have broad support from the National Rifle Association, would weaken oversight while making it impossible for the public to know about sales before they happen and difficult to see them afterward. The shift in gun exports approval is especially disturbing to Democrats and human rights groups because of Trump’s clear affection for dictators like Erdogan and Filipino leader Rodrigo Duterte. And, with authoritarian governments on the rise across the globe, they fear that leaders with unsavory records will be welcome to buy American-made weapons. 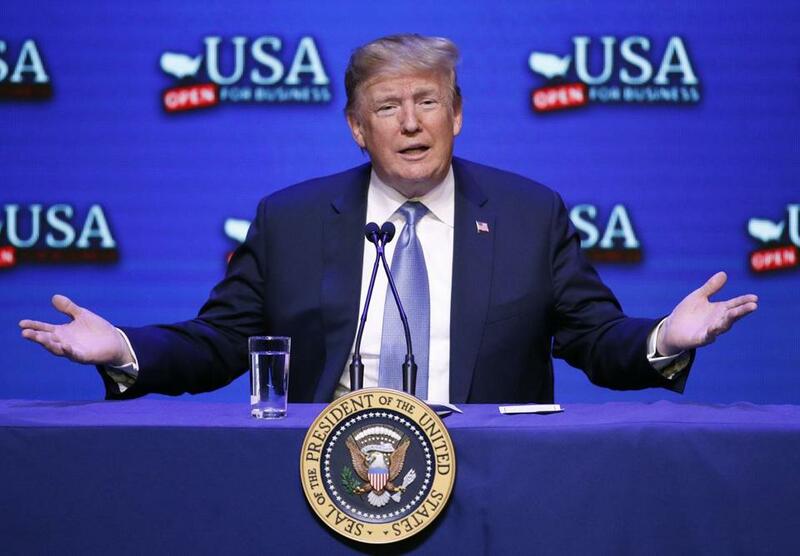 Manufacturers and US officials stressed that there will still be oversight from the Commerce Department, which will consult with other agencies, including the State Department, before a sale is made. A half-dozen top weapons manufacturers are located in New England, including Sig Sauer, based in New Hampshire; Sturm, Ruger & Co., based in Connecticut; and Smith & Wesson in Springfield, Mass. Weapons manufacturers have long pressed for the change backed by Trump. It was initially proposed by Barack Obama’s administration but never adopted as mass killings with military-style assault weapons became more visible in America. Now with a pro-gun administration in the White House, gun manufacturers believe the rule change will make their bids to foreign countries more competitive and help boost foreign firearms exports by 15 to 20 percent, according the National Shooting Sports Foundation. 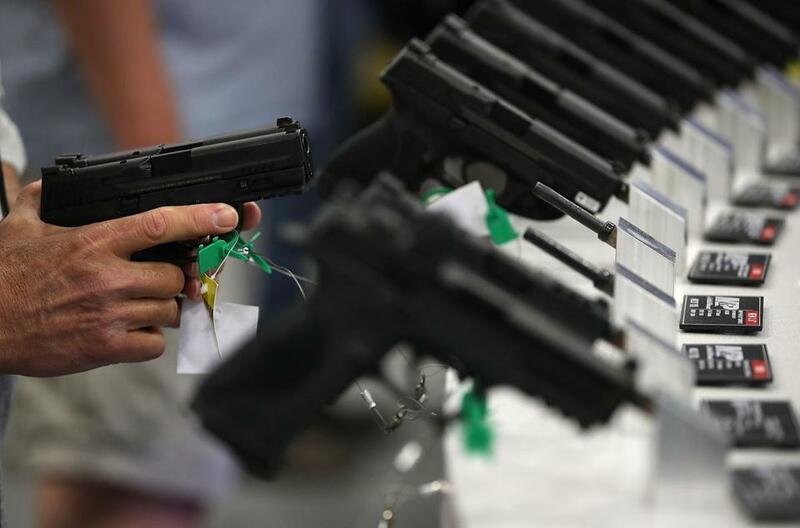 The State Department approved an estimated $4 billion in commercial firearms exports in 2016, and roughly $3.2 billion would fall under Commerce’s purview under the new proposal, according to Reuters. The looser rules are looming as domestic sales for guns have flagged, a byproduct of American gun owners showing less concern that the gun-friendly Trump administration will curb availability. The Commerce Department is charged with overseeing sales of other sensitive materials, including aviation fuel that can be used to power ballistic missiles. and toxins that are key ingredients to chemical weapons. And the department holds lists of countries, and companies, that are prohibited from buying arms for various reasons. Under the new rules, Commerce would be required to consult with the State Department, along with the Energy and Defense departments before okaying a deal. But by taking Congress out of the equation, the gun manufacturers will have one less hurdle that has proved problematic for past gun sales. For example, in 2016, Obama approved a deal to sell 27,000 rifles to the Philippine national police, a group that’s been accused of extrajudicial killings of drug dealers and users. Duterte wanted automatic Sig Sauer M4s. Such sales would still be supervised by the State Department, because M4s fire machine gun-style bursts. But under the new rules the Filipinos could purchase nearly identical semiautomatic weapons without any congressional notification or public scrutiny, according to activists and people familiar with the process. Semi-automatic AR-15s for sale in Florida earlier this year. Arms manufacturers believe they’re losing out on international arms deals because of the lengthy US regulations, including congressional notification. Keane, with the National Shooting Sports Foundation, cited two examples: Sig Sauer lost out on an arms sale to the Brazilian national police, he said, after Israeli arms makers convinced the Brazilians to include specifications that prevented US companies from competing. Another US gun maker, Keane said, was excluded from a deal to sell to the Polish national police for similar reasons. “The foreign competitors whisper in the ears of buyers,” said Keane, and convince them to add provisions to bidding documents that purposely exclude the United States. It’s an argument that human rights supporters don’t buy. “The US is by far the world’s biggest arms dealer. To think we can’t be competitive under the current policy is nuts,” said Jeff Abramson, a senior fellow at the Arms Control Association, who opposes the change. Groups worry that the new rule will also export the kind of gun violence and mass shootings that have plagued American schools, churches, and workplaces. In the aftermath of the deadly shooting at a Parkland, Fla., high school, a number of stores discontinued sales of assault-style weapons. And 17 states have proposed stricter rules or all-out bans on the weapons. “The proposed rule goes in the opposite, and wrong, direction,” wrote Adotei Akwei, the managing director for government relations at Amnesty International USA in a comment opposing the Trump proposal. The proposal is under review and would be an agency-level directive that does not require congressional approval. Indeed, the Obama administration had planned to push forward the rule in December 2012, but backed off in the immediate aftermath of that month’s Sandy Hook school shooting, where 20 kindergartners and six educators were killed in Newtown, Conn.
“Even though this rule had nothing to do with what happened, as the guy in charge, I said, ‘Now is not the time to begin discussing guns,’ ” said Kevin Wolf, who was the assistant secretary of commerce for export administration in the Bureau of Industry and Security in the Obama administration, and who wrote the proposed rule as part of a broader overhaul of how sales of sensitive consumer items were regulated.